The ideal candidate will have 2-3 years of proven business development and sales experience, excellent written and verbal communication skills, and be a team player. To apply please email a resume and cover letter to Pete Miller at pmiller@aimmedia.com. AIM is an equal opportunity employer. This is the shortest job description BACKPACKER has ever posted, because we are insanely focused on finding the sharpest needle in today’s digital haystack. You’re an enterprising multiplatform strategist with a track record of divergent thinking and successful product innovation. You have audience and content mastery, but you also love to make cash registers ring. You’re undaunted by the challenge of driving transformation at a brand where expectations run high thanks to numerous editorial awards. You can lead change while keeping the trains running, and you’d die for the opportunity to quarterback BACKPACKER’s digital portfolio. If you’re that needle, pitch us in a way that shows it. Tell us your vision for evolving our social/video/membership/education/commerce/influencer efforts and hit us with a few next-gen ideas that will delight BACKPACKER followers and power revenue. Demonstrate verve and imagination and we’ll empower you to make magic in the best damn job in the outdoors. Goodbye, haystack. Hello, life list opportunity. Send a cover letter and resume only if you think that’s the best way to respond to this listing. Any other approaches, shoot ’em to shoughton@aimmedia.com. Clean Eating is seeking a strategic, tactical, creative results oriented digital/multi-channel sales leader for the Clean Eating brand to drive digital and multi -channel digital, social, print, event, and membership revenue. The candidate will be a sales expert and responsible for maximizing all revenue opportunities for Clean Eating, as well as a digital strategy expert across the Healthy Living Group Retail portfolio. This role is a “player-coach” and will include territory and key target account responsibilities. Revenue performance will be critical to role success. This position can be based in Boulder or work remotely. The ideal candidate will have three to five years of digital sales experience selling digital, print, social, email multi-channel campaigns in the food, nutrition, health, and wellness space. In addition, an established list of contacts in this category is a plus. From a management perspective, we are looking for someone with a “player-coach” mentality, that can lead by example in a in a fast-paced, hands-on, and collaborative team environment. Familiarity with Salesforce and MS Office products a plus. Must have strong written and oral communication skills. Enthusiasm about nutrition, food, health and wellness a must! Send cover letter and resume to shoughton@aimmedia.com or by mail to Sharon Houghton, Active Interest Media, 5720 Flatiron Parkway, Boulder, CO 80301. 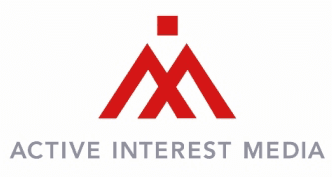 Active Interest Media (AIM), a dynamic media company, is seeking a New Business Manager, Consumer Marketing. This position will be located in our Boulder, CO office. The New Business Manager, Consumer Marketing will be responsible for developing and executing strategic marketing initiatives to build circulation and grow revenue for a group of magazines. This is an opportunity to oversee all new business channels, set effective strategies, and work with a great team of people. - Email marketing: Become an expert in our email marketing tool, develop email strategy, and work with other divisions within AIM to improve email creative and marketing efforts for all magazine subscription sales efforts. - College graduate with at least 2 years of full-time work experience or at least 5 years of consumer marketing experience. As experts in national park travel, we started our company to make it easier for people to plan their dream vacations to national parks like Rocky Mountain. Every year, we help more than 600,000 travelers plan a Rocky Mountain National Park vacation. Our detailed trip-planning websites, National Park Journal, Colorado edition, park-specific trip planners, social media channels and newsletters are packed with insider tips on what to do in and around the park, including the best places to eat, sleep and explore. We also have developed epic road trips with daily itineraries that highlight fascinating attractions and fun outdoor activities along the way. Many of our tips and stops come from our clients who own or work at the businesses, cities and towns along the way to our national parks. Your job will be working with existing clients and meeting with new ones to offer them packages that help them attract national park travelers. National Park Trips Media (NPTM) is seeking a creative, detailed and results-oriented sales manager to lead the strategic cultivation of its print, digital and leads program within the Colorado region including the towns and businesses located near Rocky Mountain, Mesa Verde, Great Sand Dunes & Black Canyon of the Gunnison National Parks. He or she will also be the point of sales for NPTM’s Olympic National Park & Great Smoky Mountains National Park digital & leads programs. After proven success, this person will also be the lead sales person for our California clients whom we work with on integrated marketing campaigns to promote travel to the towns and businesses along the way to more than six California national parks. Our clients are largely the businesses and towns located along the route to some of the country’s most popular national parks. This account manager will be a sales expert and responsible for maximizing customer lifetime value, helping to drive national park enthusiasts to their towns and businesses. Reporting to the Sales Director, the Sales Manager will be responsible for advertising sales to a diverse set of industry clients. This is a full-time role based in the Active Interest Media offices in Boulder, Colorado. This is a sales job, and while performance is measured in revenue, this is a team environment. NPTM is a small team so it requires a natural leader who is equally good at stepping up and taking charge as they are hanging back and contributing… and knowing when the time is right for both. Submit a cover letter and resume to David Krause, Sales & Co Brand Director of National Park Trips Media, at dkrause@aimmedia.com.